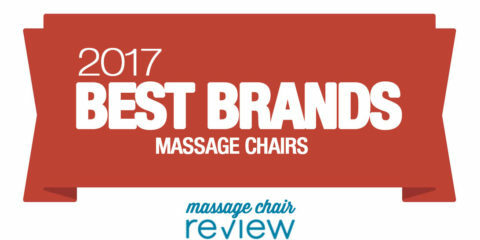 Cozzia USA has been one of the most innovative massage chair companies in the US. 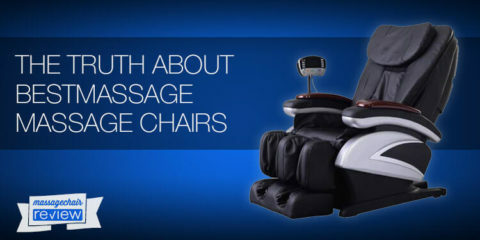 They recently released their Cozzia Qi Massage chair, which is one of the most advanced massage chairs on the market. 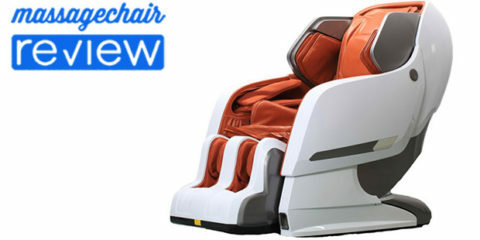 Shoppers may be familiar with chairs that have similar massage technology like the Ogawa Smart 3D, or Panasonic EP-Ma73. The Cozzia Qi is a major step above these models but is only available from select retailers and isn’t available online. 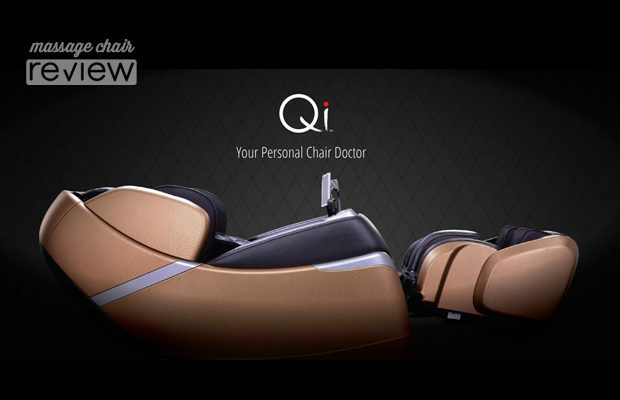 The Qi also retails for $17,999.99 and shoppers may find similar value in chairs like the Ogawa Smart 3D, Panasonic EP-Ma73, or Luraco 7 which range from $6999.99 – $8490. 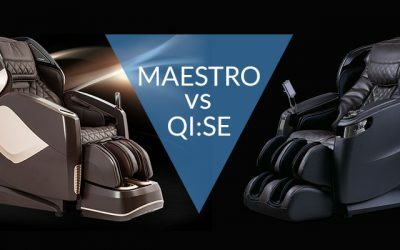 In the below massage chair review we touch on some of the features of the Qi and some other chairs that are more affordable but lack in the features. 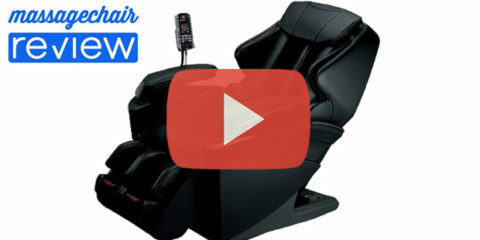 First take a look at an introductory Cozzia Qi massage chair video that introduces the chair and features. The Cozzia Qi is controlled through a custom iOS App dubbed the Chair Doctor. There is only a few other chairs that are controlled through a custom App and that’s the Ogawa Smart 3D, and Cozzia CZ-629. 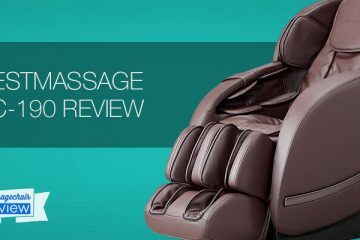 There are a few other chairs that have Tablet and touchscreen remotes, and you can check them out by reading out Tablet Massage Chair review. The massage roller is built on a 3D mechanism, which can vary in the type of strength and move in and out 5 inches to go deeper into the muscle tissue. The quality of the massage roller has been compared to the Panasonic EP-MA73 in its lifelike movements and massage techniques. It also moves through speed and width movements to perfect the timing of the massage. 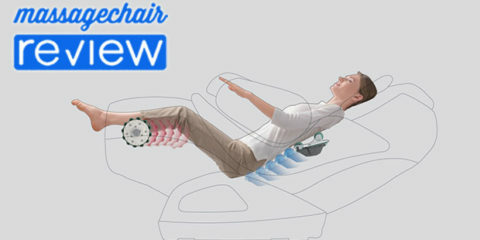 It’s a dual head roller and has a Japanese massage head style, similar to the Ogawa Smart 3D, Osaki Japan chairs, and Fujiiryoki style of massage chairs. Similar to other 3D chairs you have full control of the roller, but its done through an iOS iPad App. The rollers are also heated and perform 6 different massage techniques. The body scan technology detects accupoints on the body and has a 3D style body scan. 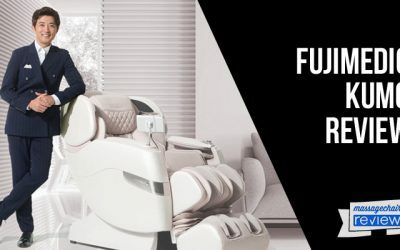 The 3D body scan maps the users body similar to other high end massage chairs. The Qi also comes with a “Chair Doctor” feature that has users hold onto a pressure sensor so the chair can take vital metrics of the user. After it detects the heart rate, tension, and other vitals it prescribes a specific program to the user. 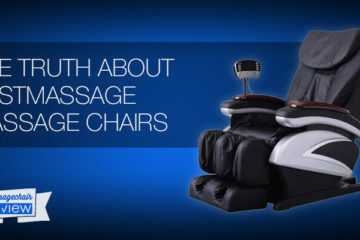 This is a revitalized and more accurate technology that original appeared in Sanyo Massage chairs during the mid 2000’s. This stress detection feature is cool to use but not necessary for users who just want to sit down and get started with a massage program. The Cozzia Qi has 13 automatic programs to choose from. These range from relaxing massage styles, to stretching, and are inspired from massage methods around the world. For those who want more control you can customize your massage experience through the manual programs and strength adjustments. The Cozzia Qi has full body airbag compression system. The sensors in the Airbags are designed to deliver a comfortable but firm pressure to not overly squeeze during a massage. This is a similar airbag technology thats seen in the Ogawa Smart 3D. The airbags are located in the Shoulders, Arms & Hands, Legs, Feet, Hips, Lower Back, and Seat. There are five levels of intensity for the airbag massage. Users have a couple of options for controlling the chair. They can use the Qi app which is available for download in the Apple App Store. The app is very easy to use, and the Qi also has armrest controls and a control dial that activates when the chair is turned on. You don’t always have to use the app but it’s the easiest way to control the chair. The chair has a modern design and comes in two different color variations. There is also minor detailing that help accentuate the luxury of the chair. This is noticeable in the carbon fiber look of the side panel designs, the chrome style of the control dial, and the tufted upholstery on the backrest. It also shares some similarities with the Panasonic EP-MA73 with the removable back pad, and high quality synthetic leather. Here’s a brief list of features so people can get an idea of what this chair can do. 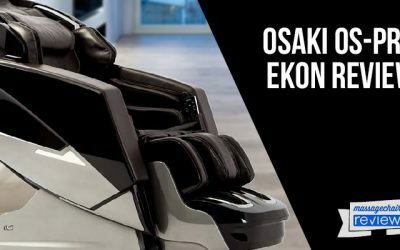 For shoppers who are looking for chairs that fit more into their budget and have some of the most advanced features we suggest checking out the Ogawa Smart 3D massage chair. 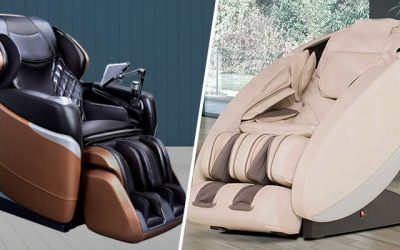 Check out some of the most advanced massage chairs at Ogawa World USA. 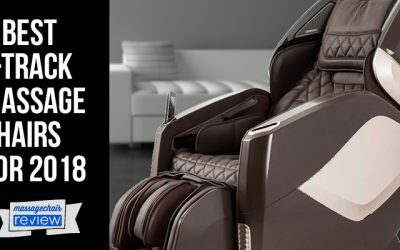 Massage Chairs Explained – L-Track or 3D – Whats Best?